Boutiq Bar is Budapest's best home for cocktails. All photos by Carolyn Banfalvi. When in Hungary, come ready to eat your way through Budapest. We asked Carolyn Banfalvi, a local food and wine journalist and guide, for her best addresses. BUDAPEST – No matter what the political situation (and these days in Hungary it is increasingly divisive), eating and drinking are always top of mind for Budapesters. The best way to explore my city is to aimlessly wander its streets, admiring the architecture and discovering the tiny, quirky shops and cafés. Better yet: Plan your walks around town with food and drink as your focus, and you'll slowly discover the Budapest that locals adore. 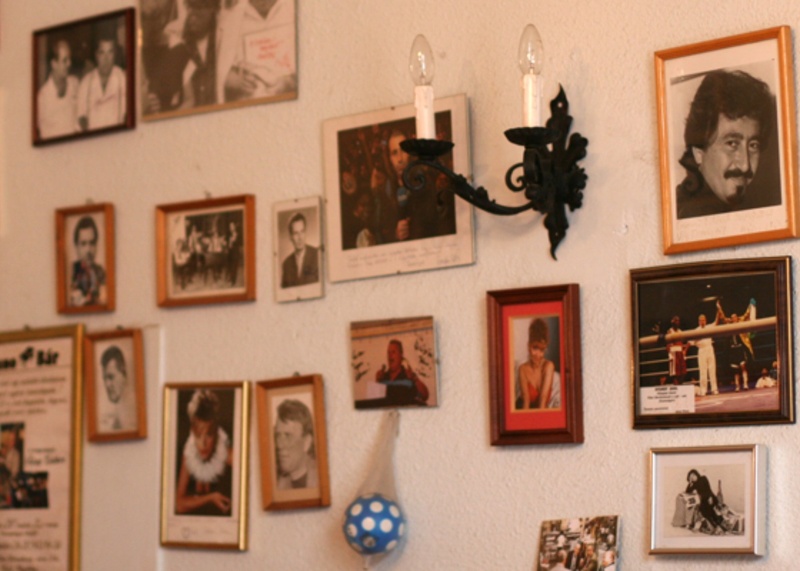 The photos lining the wall at Kádár Étkezd. Have breakfast at (V. Károlyi Mihály utca 9, +36-1-266-2110). There aren't many of these traditional coffee houses left in Budapest. The lovingly restored Centrál, once a favorite meeting place of Hungary's literary elite, also scores high for lunch and dinner. The tradition of inexpensive lunch rooms — where the menu is simple, the pace is quick, and the price is a bargain — lives on in Budapest, and Kádár Étkezde (VII. Klauzal tér 9, +36-321-3622) is one of the best. It's the closest you'll get to home cooking outside an actual home. The wares at Printa Akadémia. Though it's not exactly a café, (VII. Rumbach Sebestyén utca 10) serves some of Budapest's best coffee. While you sip your espresso, check out the shop, which stocks clothing, prints, and other design-minded accessories by Budapest's rising young talent. 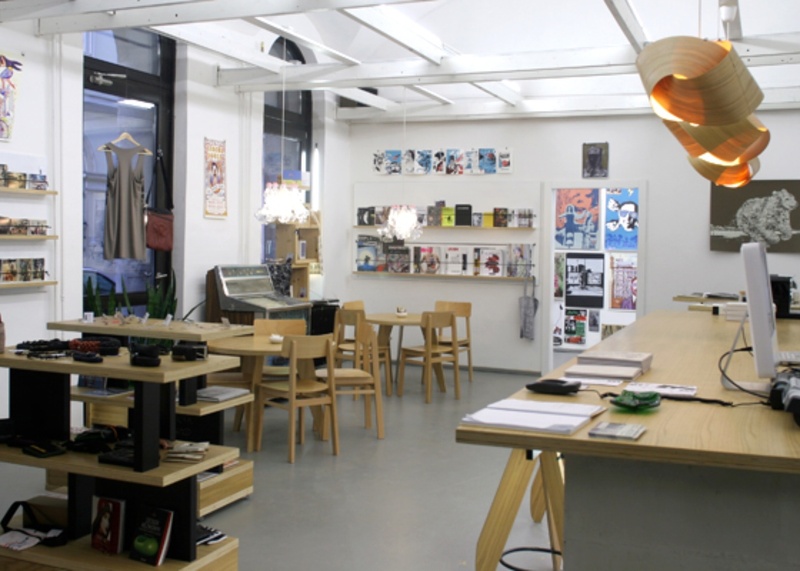 While you're in the neighborhood, pop into Csak a jó Sör (translation: "only the good beer") (VII. Kertész utca 42-44) for Hungarian craft beer, a concept still in its early stages in Hungary. The shop sells excellent craft beer from around the world and has a few varieties on tap. There are pastry shops on nearly every block in Budapest, but if you're looking for one of the best, go to family-run (V. Kossuth Lajos utca 14-16) for homegrown favorites Dobos torta and luscious krémes. On the menu at Bock Bisztró. Photos courtesy Bock Bisztró. Named for a Hungarian winemaker in the southern region of Villány, (VII. 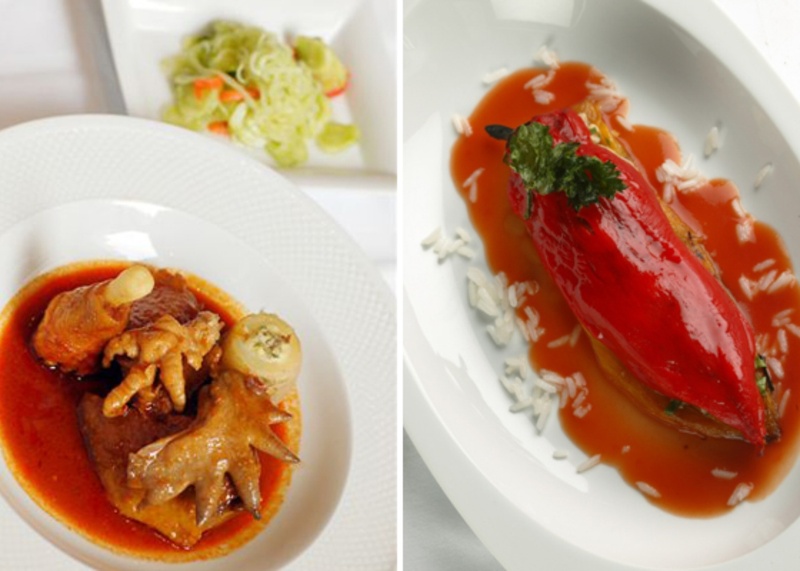 Erzsébet körút 43-49, +36-1-321-0340) is manned by one of the country's most charismatic chefs, who prepares Hungarian classics (cold foie gras, veal pörkölt [stew], and chicken paprikás) reinterpreted in modern ways with offbeat flavors mixed in to surprise. This is also a perfect place to taste a great variety of Hungarian wine. No picture of Budapest's nightlife would be complete without checking out "ruin bars," many of which are clustered in the inner 7th district. Located in crumbling buildings and decked out in mismatched furniture, these places aren't about fine wine. Grab a local beer like Dreher or a shot of pálinka (fruit brandy) and settle in on a ratty couch to take in the scene. A few to try: Lokál (VII. Dob utca 18), (VII. Kazinczy utca 14), and Ellátó Kert (VII. Kazinczy utca 48). Spend the morning exploring Central Market Hall (IX. Vámház körút 1-3), where locals buy everything from foie gras and bacon to fresh cheese and hot peppers. Have a slice of strudel and strong coffee for breakfast and, if you really want to go local, top it off with a shot of unicum (a Hungarian bitter liquor) from one of the grungy bars upstairs. Many butchers in Budapest serve no-frills, standing-only hot lunches. Belvárosi Disznótoros (V. Károlyi Mihály utca 17, +36-1-267-3795) is a modern take on the concept, a cheap feast of fresh sausages, pickled vegetables, salads, and a variety of grilled and fried meats. Pick up edible mementos at (V. Királyi Pál utca 6), candy manufacturer Cukorka (V. Múzeum körút 7, inside the courtyard), and Bortársaság (V. Vécsey utca 5) wine shop. Have a glass of pezsgĂŠ•Ë‡‘ (sparkling wine) in the swanky bar at the (V. Széchenyi tér 5-6), one of Budapest's finest art nouveau buildings. The dining room at Café Kör. 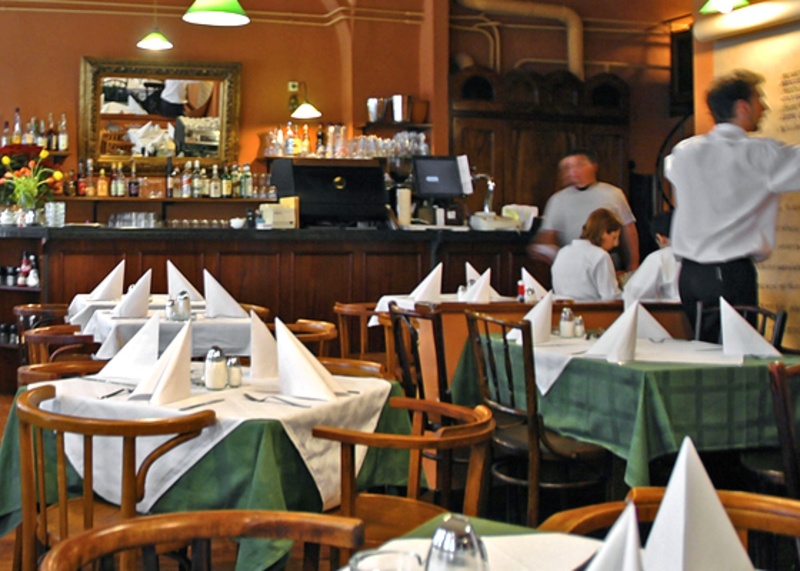 (V. Sas utca 17, +36-1-311-0053) is the ultimate Budapest bistro. Start with the sample plate of mixed cured meats or beefsteak tartare. Finish with mákos guba (poppyseed bread pudding) or Somlói galuska (a jumble of sponge cake, custard, and whipped cream). Hungary has lots of great wine, but few options for nice cocktails. The exception is (VI. Paulay Ede utca 5), where drinks are works of art. 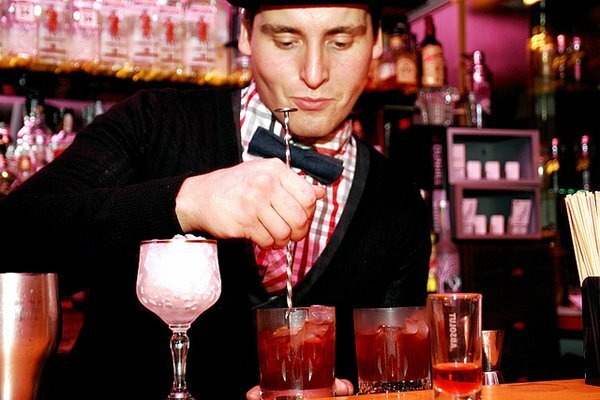 For local flavor, order a drink made with pálinka. Spend your last day in Buda, starting with breakfast at the pastel-colored (I. Lánchíd utca 13, +36-1-201-9221) near the foot of the Chain Bridge. Getting up to the Castle from here is a short trip on the funicular or an uphill hike. (I. Szentháromság utca 7) is a tiny place with a Habsburg-era atmosphere. If you can get a table, order a slice of Eszterházy torta (walnut layer cake) served on delicate china. (XI. Bartók Béla 50, +36-1-782-4166), which translates as "meat pharmacy," pays homage to the much-adored Mangalica pig. Don't be shy: Start with a plate of shaved cured Mangalica ham, then move on a hearty ham sandwich. Back in Pest near the Basilica, (V. Sas utca 3, +36-1- 266-0835), whose name translates as "wine kitchen," is the best place in town for a long, lazy dinner with lots of wine pairings. The kitchen focuses on modern Hungarian cuisine prepared from ultra-fresh ingredients, and the menu changes according to what's available at the market. The extensive wine list features Hungary's finest, including many from tiny estates. A cluster of wine bars has recently opened in Budapest to show off the increasingly interesting variety of bor (wine) being produced here. 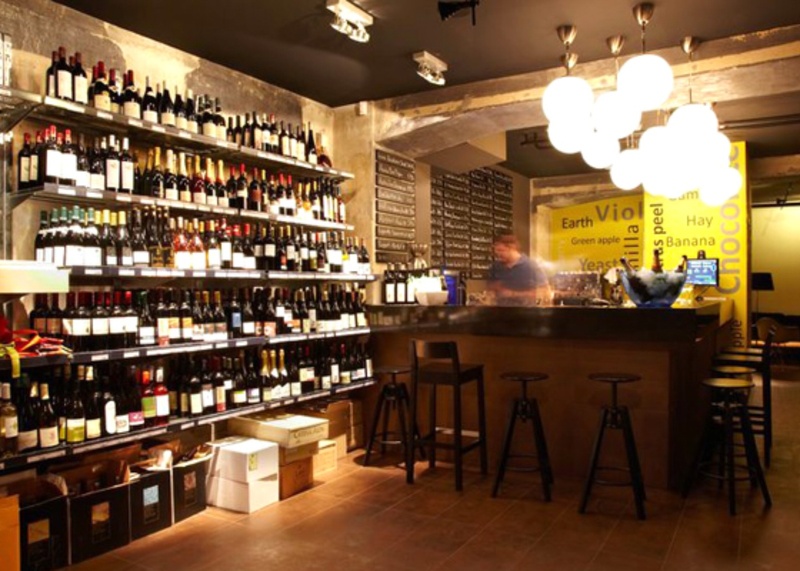 Not far from the Margit Bridge on the Pest side, (V. Balassi Bálint utca 27) has knowledgeable staff pouring both Hungarian and international wines. Near the Basilica, Innio (V. Október 6. utca 9) is a new wine bar that has quickly become a hit in Budapest. There's no better cure after all this eating and drinking than the thermal waters under the Turkish dome at the 16th-century Rudas Bath House (I. Döbrentei tér 9). On Fridays and Saturdays, it stays open from 10 p.m. to 4 a.m.
is the author of the blog , the culinary guide , and The Budapest Insider's Guide app. She lives in Budapest and operates the culinary tour company with her husband. She travels for the food markets, the new flavors, and the wine.